Of the exceptional wedding venues we’ve encountered as wedding photographers in Costa Rica, we can say Elite Beach Villas has amazing rentals for your dream wedding in Costa Rica. 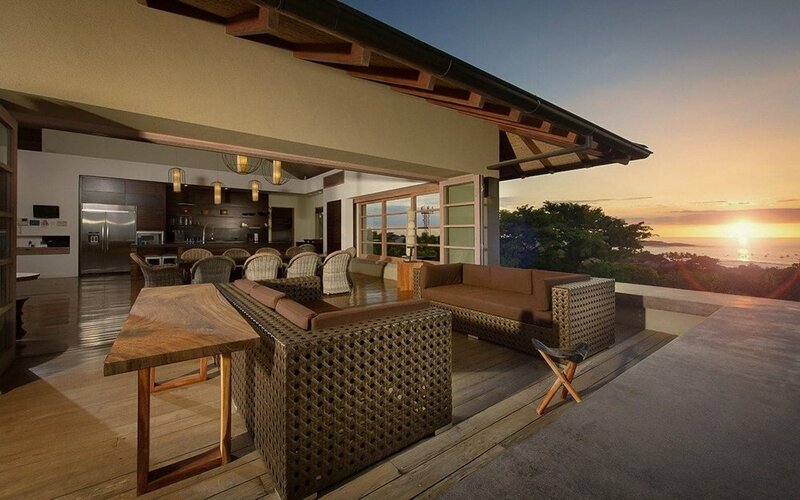 Elite Beach villas manages luxury rentals in Tamarindo, Costa Rica, France, and Oahu Hawaii. For this article, we will cover their best 3 luxury properties in Tamarindo for your unforgettable Costa Rica wedding: Villa Morabeza, Casa Alang Alang, and Sunset House. All three venues are located in Tamarindo, Guanacaste and are about 1-1/2 hours by road from he nearest international airport - Daniel Oduber Quirós International Airport, also known as Liberia International Airport (LIR). Elite Beach Villas can arrange transportation to and from LIR via XPlore Costa Rica, a Tamarindo-based company that provides transportation by private transfers, shared shuttles, rental cars, and domestic air travel among other tourist-based services. Please contact Elite Beach Villas for pricing and availability. To make sure your wedding day is a success, Elite Beach Villas can recommend a wedding planner that will tend to all your wedding-day needs, from the entertainment and drinks, to your bridal bouquet and floral arrangements to all the decorations, or you can contact us and we can recommend an excellent wedding organizer. As for having your hair styled, wedding-day makeup applied, and manicure and pedicure done, Elite Beach Villas or your wedding organizer can provide you with a list of wedding-day providers that can get you ready for your big day in the comfort and privacy of whichever venue you choose. Night view of Villa Morabeza from the rear of the villa by the pool. Villa Morabeza is a 5-Star luxury, beach-front villa in a private gated community that has 8 guest rooms and 8-1/-2 bathroom that can accommodate 20 of your wedding guests overnight. There are 4 luxuriously-appointed master bedrooms with unbelievable ocean views - some of which have exterior showers with views of the ocean - 1 guest bedroom with great views of the ocean, and 2 bedrooms for children with double bunk beds. 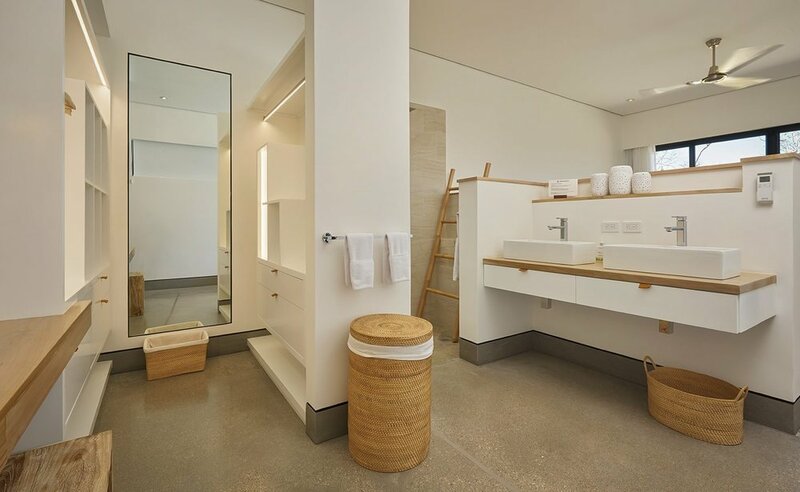 There’s also a separate studio with a kitchenette and full bathroom for you and your fiancé on your wedding night, for guests who want more privacy, or for staff you’ve hired to babysit or your personal chef. 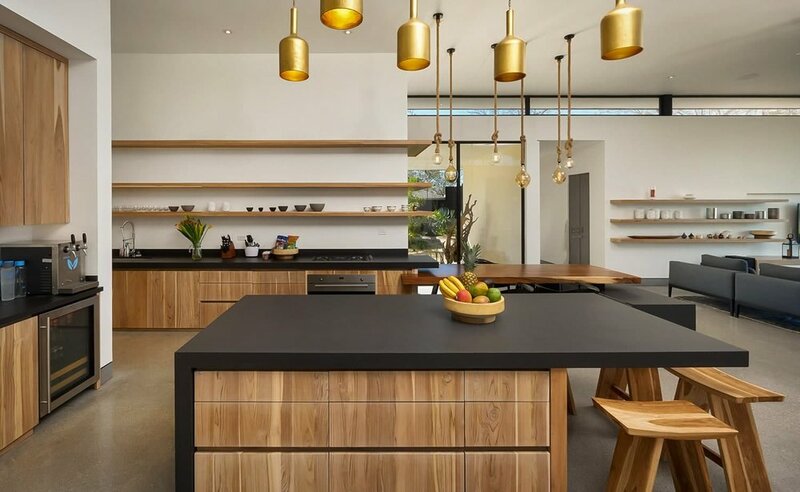 The villa also has a fully-equipped kitchen with preparation area, a island that also serves as a bar and a marvelous and expansive living area that opens to the ocean. Outside area with ocean views for wedding ceremonies, receptions, and dinners. Villa Morabeza can accommodate up to 80 guests for your wedding day events, has two fabulous sites for wedding ceremonies, one the beach and the area between the villa and the beach. The villa also boasts an 18’ dining table with space for 20 guests, an additional beach-front dining table that can seat 10 more of your guests, as well as a poolside lounge area from where you and guests can celebrate your matrimony and watch the beautiful sunset in the Pacific Ocean. · You can get married a Villa Morabeza any day of the week, on any day of the year · Live music or a DJ is not permitted, there can be no loud music after 10:00 p.m. · There is an event fee that covers two staff members to assist in cleanup after your wedding. Inside area for wedding receptions and dinner at Villa Morabeza. There is large, gorgeous, and inviting pool just steps away from the villa with fabulous ocean views where you and your guests can enjoy each other in blissful tranquility. To keep the bugs at bay, the villa features a MistAway, all-natural insecticide system, so you don’t have to cover yourself in bug spray. So you don’t have to suffer carrying cases of water to the villa from the store, a water system has been installed to provide you with sparkling water on tap. Also, a complimentary typical breakfast is included, as our housekeeping and concierge services. If any issues arise during your stay, the property manager is on call. Gorgeous kitchen area for preparing cocktails and dinner for your wedding reception. For dining, Elite Beach Villas can recommend a personal chef to tend to all your meals and create an unforgettable menu for your wedding day dinner, from the appetizers to desert, as well as cocktails. 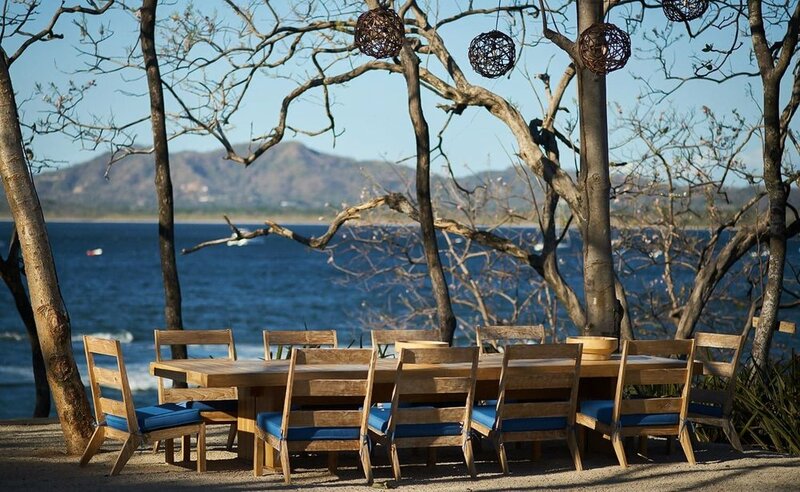 In Tamarindo, there are many places to eat, from hamburger joints to 5-star restaurants, and you can also order out if you just want to stay in. You will have a great experience having your wedding at Villa Morabeza. 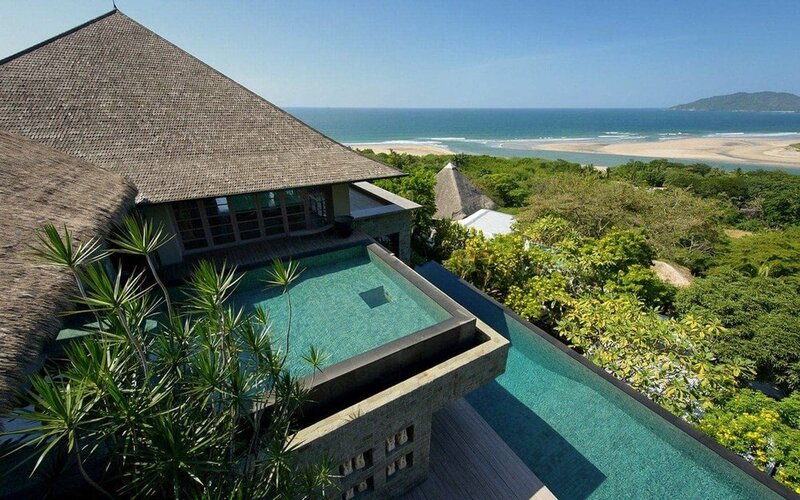 It is an amazing villa in an amazing place with amazing views. Our staff will make your wedding day unforgettable and make your stay here feel like it’s your home away from home. Casa Alang Alang is a gorgeous ocean-front luxury villa for exclusive Costa Rica destinations weddings. 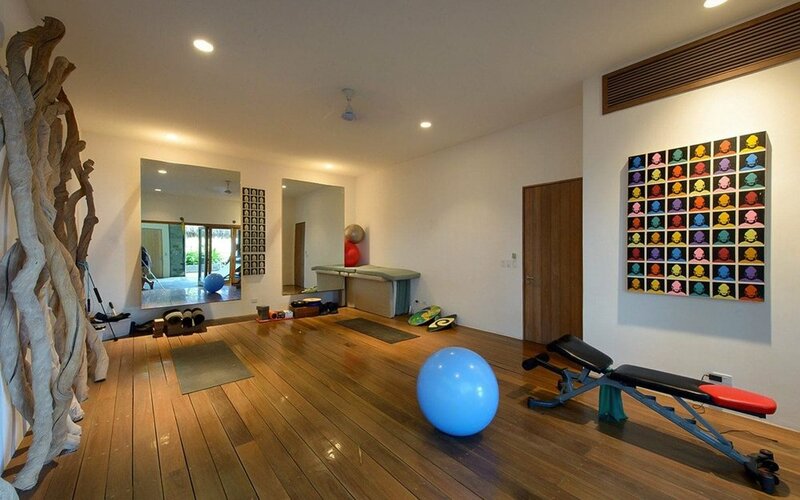 Located at the entrance of Tamarindo on private, secluded hillside, Casa Alang Alang is a two-level, 15,000 sq. ft. luxury villa with 8 magnificent rooms for your overnight wedding guests - including a private apartment -, 8-1/2 bathrooms, a large, full-service, professional kitchen, two pools, a jacuzzi, various socializing areas, terraces, and exceptional views of an estuary and the Pacific Ocean. Simply put, it’s an impressive venue for intimate, private, luxury weddings. On your wedding night, you and your fiancé can lose yourselves in the fabulous master bedroom on the upper level you can turn into your honeymoon suite. 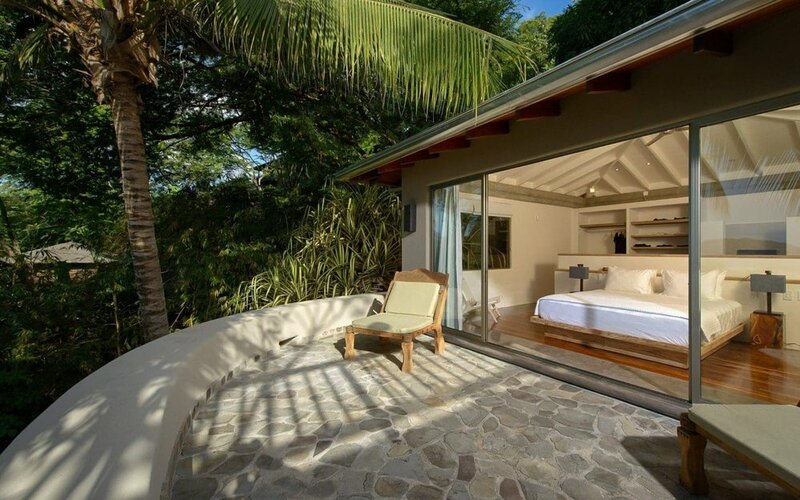 It features a gorgeous solid wood, king-sized canopy bed, a spacious bathroom with an ocean and jungle-view shower, spacious bathroom with double sinks, and double, impressive carved stone bath, an expansive walk-in closet with dressing area with a vanity, and breathtaking views of the ocean and estuary. Your wedding guests will likewise pass stay in comfort and in luxury in the other guest rooms that all have full bathrooms, luxury accommodations, and impressive jungle and ocean views. 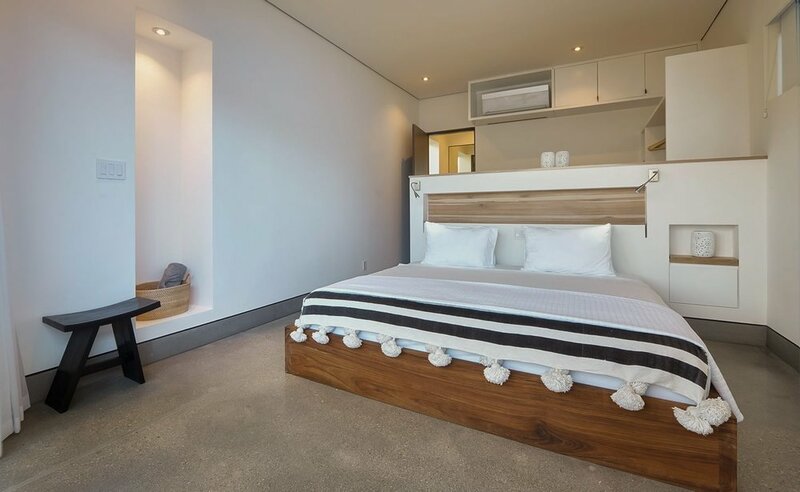 For guests who want a bit more privacy, there’s a private apartment with a separate entry that has a king bed, full kitchen and bathroom, a dining table, private terrace, ocean views among other features. Casa Alang Alang can accommodate weddings of up to 60 guests and has a number of gorgeous sites for your wedding-day events that have stunning ocean and rainforest views. You can have your wedding ceremony on one of its terraces overlooking the estuary and ocean, and your reception and dinner in the dining and living area where there’s a large, ironwood dining table that can seat up to 12 guests and the main terrace where there is additional seating for 20 additional guests. · You can marry any day of the week, any day of the year at Casa Alang Alang · They do not permit a DJ or live music, and loud music after 10:00 p.m. is not permitted · There is an event fee for cleaning up after your wedding that includes two employees of Elite Beach Villas. Outside view of Casa Alang Alang’s pools with ocean and beach views. There are two pools, one on the upper level and a 65’ lap pool on the second level, a MistAway all-natural pest control system so you can enjoy the villa without bug sprays, and a water system that has sparkling water on tap, so you don’t have to bring it from the local store, hi-speed Wi-Fi, AC and fans in the bedrooms, an excursive room, a media center, 2 massage tables, complimentary grocery shopping and concierge service (does not include the cost of the groceries), and housekeeping, breakfast preparation, a mobile phone, and more. Elite Beach Villas can recommend a personal chef who can make all your meals and design a wedding-day dinner - from the cocktails and appetizers to desert - that will leave you and your guests in awe. You can also venture to the center of Tamarindo where there are many dining opportunities, from fast food to fine dining on the beach. You can also order take our or have meals delivered. Getting married at Casa Alang Alang will be a wonderful experience. The casa is just amazing for weddings and has fabulous views of the ocean and beaches. We will make your time at Casa Alang Alang feel as if you are in your own home and make your wedding day a once-in-a-lifetime event! Contact Arenas Foto Wedding Photography! Sunset House in Tamarindo is a marvelous venue for a luxury, private wedding in Costa Rica. 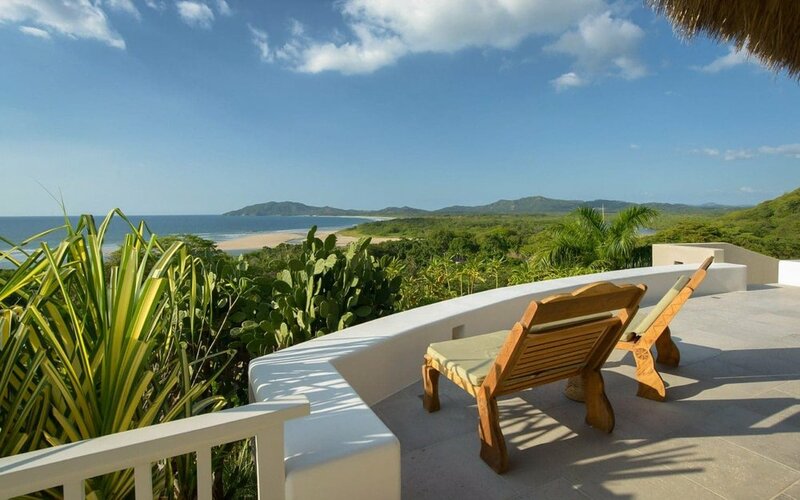 Sunset House, located in Tamarindo, is known for its spectacular views of the Pacific Ocean and breathtaking sunsets. It has 5 bedrooms and 5-1/2 baths for 14 of your wedding guests who spend the night, a large, open kitchen with professional appliances, guesthouse, infinity pool, amazing living spaces and more. There are three master suites to choose from as your honeymoon suite on your wedding. 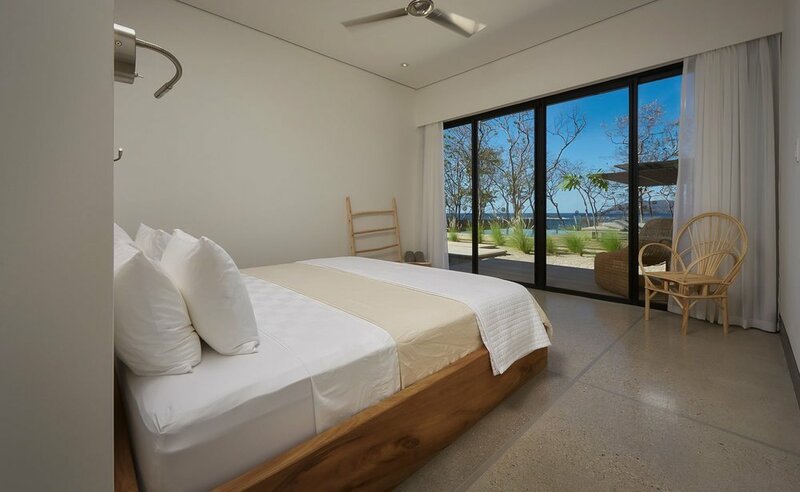 The obvious choice is the separate master suite by the pool that features a king-sized bed that faces a glass wall facing the estuary and Pacific Ocean, a large bathroom with double sinks and separate toilet, private terrace, and more. 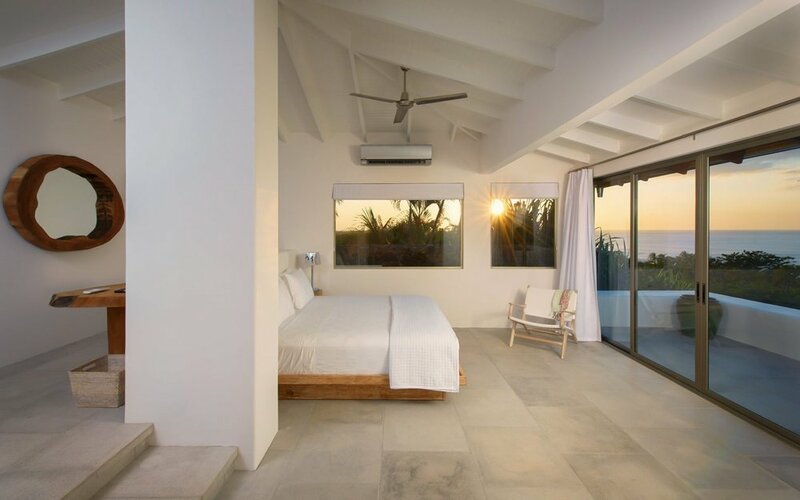 The two other master suites that are just as luxurious and likewise have a king-sized bed, full bathroom with double sinks, lounging area, walk-in closet, one has an outdoor shower with ocean views and private balcony among other elegant features. It’s a tough choice. For your wedding guests, they can choose from one of the other two master suites or a standard bedroom with a king-sized bed. For kids, there is bedroom equipped with 4 bunk beds, 2 pullout beds, a full bathroom, and a desk. On your wedding day, Sunset House can manage weddings with up to 40-45 guests, and has a variety of locations for your ceremony and reception. It’s poolside terrace is a wonderful site for a ceremony given its ocean and estuary views, and its living and dining area is ideal for your reception and dinner given its 10’ long wood table that can sear 14 guests, addition seating for 5 additional guests, kitchen counter bar with stools, and terrace with lounge chairs, all of which have stunning views of the estuary, jungle, and ocean. · Weddings are permitted any day or the year at Sunset House · A DJ or live music is not permitted and loud music is not permitted after 10:00 p.m. · Elite Beach Villas also charges a event-cleaning fee that covers to employees. There’s an infinity pool with ocean and jungle views, sparkling water on tap, integrated all-natural pest control system, full-time maid and caretaker, hi speed Wi-Fi, AC and fans in all the rooms, parking for 3 cars, surfboard racks, massage table and more. Upper view of pool with great beach and ocean views at Sunset House. Hire a personal chef for lunches and dinners and to create your dream wedding dinner and cocktails, or take a trip to the center of Tamarindo and indulge yourself in everything from fast-food to fine dining on the beach. If you don’t feel like leaving the villa, order out and eat while watching the marvelous sunset while siting by the pool. Your wedding at Sunset House house will be unforgettable. The natural beauty of the surrounding environment - the beach, ocean and rainforest - and the house itself make Sunset House a fantastic place to get married. Also, our staff will ensure your stay at Sunset House and your wedding day are as your dreamed. Which is the perfect venue for your wedding? Villa Morabeza, Casa Alang Alang or Sunset House? Contact Elite Beach Villas Today! Want to see more more luxury wedding venues? Read about more luxury wedding venues in Costa Rica here!